Since there are a lot of popular 2600 games that are dirt cheap, and those that are actually interested in 2600 carts probably already know about the games, I won’t write anything about them this time. I’ll just provide your with the prices. 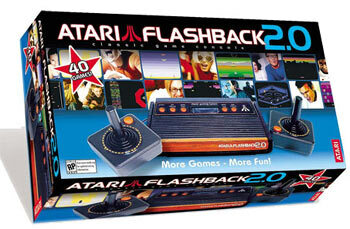 The Atari Flashback 2 is probably the best compromise for those that want to have the authentic look and feel of the original Atari 2600 games without having to hunt down all their favorite cartridges, deal with old hardware, and ultimately pay a decent amount of change. Instead of that extra hassle and cost, the Atari Flashback is actually a new piece of hardware that is actually an updated version of the actual 2600 hardware with two controllers and 40 games included. Atari even gives instructions on how to hack the Flashback 2 in order to play real cartridges. Reviews for the Flashback 2 have been very positive and is considered a great value for those wanting to re-live their early gaming experiences. D’you see that Atari just bailed from the game development industry? Alas! While not wholly unexpected, this is terrible, terrible news. Here’s a question for geekland: with Atari officially kaput (at least gaming-wise), what should I do with my old 2600? Use it as a doorstop? Any cool ideas for modern workarounds? Ways to MacGyver it into something (anything) usable? I don’t think I payed more than a buck for any of my Atari games. River Raid was always my favorite back then. 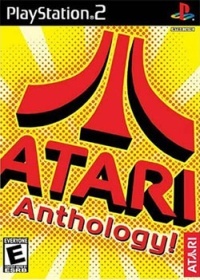 Many atari games are public domain. 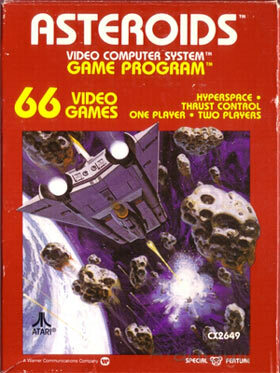 The best Atari game by far has got to be H.E.R.O. Man with a helicopter backpack and laser eye goggles, ring a bell anyone? Wheres custer’s revenge? lol. Great list, I loved the game “Earth Dies Screming”. I wonder if theres a copy of “air raid” in the world… I’ve been hunting that game for 20 years now…. Only joking.Its rare but even the collectors pass on it. Anyone besides me ever play “Journey Escape” on the 2600? Is it just me, or does the music (which doesn’t sound very much like a Journey song) get really monotonous after 10 minutes or so of the same bars repeated over and over and over…? I still think that the “Combat” cartridge (which originally came with the 2600 – before they started giving you Pac Man) is still one of my all time favorites. I loved playing the tanks with the bouncing bullets. Warlords was another one of my favorites – early multiplayer fun! I have a Atari model no.cx-2600 a. If any knows what its worth please. Email me at jboynton28@gmail.com.